Cocaine addiction is costly. The drug contributes to the $11 billion in healthcare costs and $193 billion in overall costs created by illegal drug use in the US.2 That’s just the cost in dollars. How much is cocaine abuse costing usin terms of broken relationships and early deaths? You can learn more about how you can help your loved one heal from addiction. Call Michael’s House now to speak with an experienced professional who cares. The age group most likely to abuse cocaine was adults ages 18 to 25. More men than women abuse cocaine. There were over 3,000 male overdose deaths and 1,000 female overdose deaths in 2014. 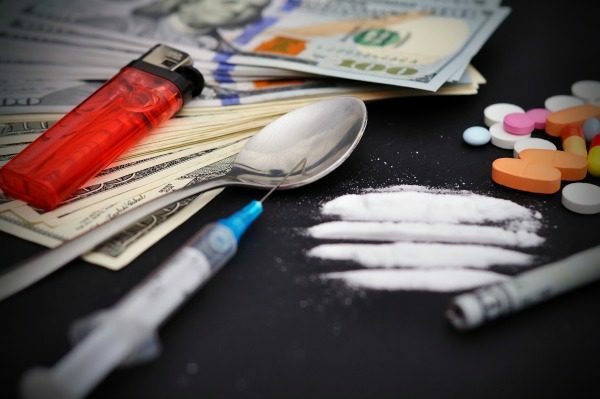 Almost one-quarter of drug-related emergency room admissions were caused by or connected to cocaine abuse or addiction (more than 505,000 of the 1.2 million drug-related ER visits). Many cocaine abusers also abuse other illicit substances including alcohol. Some individuals use cocaine to help combat the effects of heavy drinking or to fight the sedative effects of an opiate like heroin. These patients are often in a cycle of drug abuse. Downers help them get to sleep or to relax, and then stimulants like cocaine are used to wake up or to get the energy they need to get anything done. Other people use cocaine together with other drugs in order to amplify the effects. Commonly, partiers or club-goers will use cocaine to stay awake and maintain their energy levels while drinking. Others combine heroin and cocaine in the same shot and take the drugs together, creating a high that is different than either of the two drugs alone.Unfortunately, use of cocaine with other substances only increases the risk of medical emergency and/or overdose as well as other long-term health problems. According to a recent study, 40 million Americans age 12 and over meet the clinical criteria for addiction. That’s more Americans than those with heart disease, diabetes or cancer.4 If your loved one is struggling with a dependence upon cocaine, alone or in combination with another illicit substance, reach out to us here at Michael’s House today for help. Our admissions coordinators are available now to discuss your treatment options. 1 “Cocaine.” National Institute on Drug Abuse. Accessed 8 Sept. 2017. 2 “Trends & Statistics.” National Institute on Drug Abuse. 24 Apr. 2017. Accessed 8 Sept. 2017. 3 “What is the scope of cocaine use in the United States?” National Institute on Drug Abuse. Accessed 8 Sept. 2017. 4 Sederer, Lloyd. “A Blind Eye to Addiction.” U.S. News & World Report. 1 June 2015. Accessed 8 Sept. 2017.